Talking Bull > Latest > ‘Street Heroes’ Beer outstrips supply! 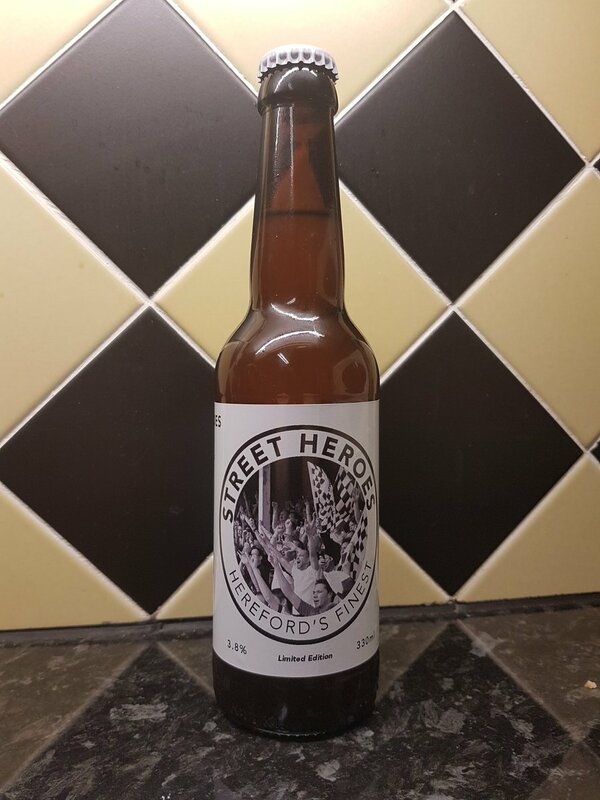 Demand for the limited edition ‘Street Heroes’ beer is outstripping supply, with less than 30 bottles of the limited edition beer left as at 8pm this evening. HUST has worked closely with local brewery KelPaul Brewing Co to produce a beer they wish to “dedicate to the superb fans who fought to preserve football at Edgar Street”. Initially 150 bottles of the Limited Edition extra pale ale were made available to supporters to purchase, but such is the take-up of the beer, many more brews are set to be ‘in the pipeline’. Hereford have had many ‘heroes’ over the years, and so players such as Ronnie Radford, Adam Stansfield, Phil Stant, and many, many more, could all feature on the beer labels as the special brews are produced. Currently, the bottles are 330ml and have been made available to HUST members at a discounted price of £2.25 per bottle, whilst for non-members the price is £2.50 per bottle. Due to licensing laws, HUST are working with local publican, Mayor and Hereford FC fan Jim Kenyon to arrange collection and purchase of orders from his pub ‘The Victory’ in St. Owen Street Hereford (opposite the Fire Station). HUST are taking orders via email and will arrange for the orders to be collected from The Victory. Therefore, any supporters who wish to purchase some bottles should email their orders to russell.cheasley@hufctrust.co.uk together with their HUST membership number to claim their discount, and to provide full contact details. HUST will then be in touch when the order is ready to collect. It is encouraging to see the beer sales are proving to be a big hit with supporters, whilst HUST also hope to extend future distribution and enable online sales. The Challenge 25 Age Verification Scheme will be operated on collection.